MNE is an innovative firm of accountants offering a full accounts outsourcing service for some of the UK’s leading businesses and brands. We become an extension to our clients’ businesses offering a plethora of accounting services from management accounts and bookkeeping, to payroll management and a remote finance director service. Understanding the world that surrounds our clients ensures that the financial advice and support we offer makes a real difference to an organisation’s bottom line. and help you to realise your ambitions. We’re in business like you to be the best at what we do. Many businesses talk about service, but very few can deliver it. Outsourcing your finance function to us means you get a dedicated, proactive and expert finance team who understand the significance of excellent service. 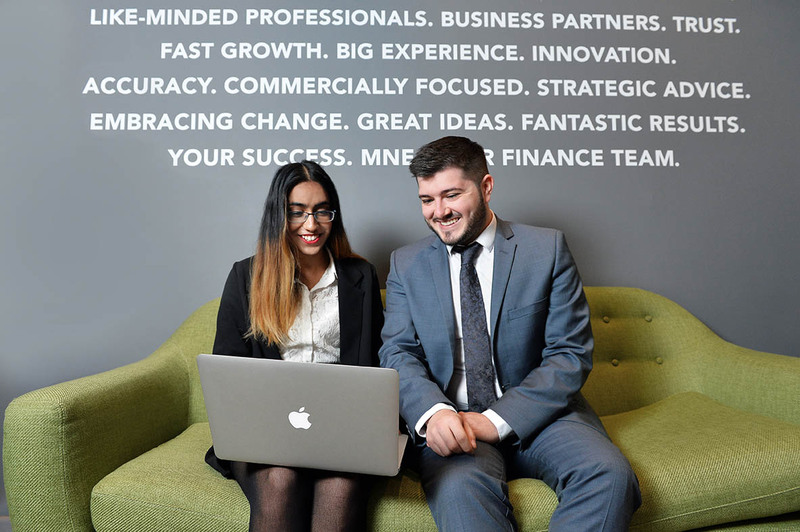 We’re an energised finance team, far from being a grey accountancy practice. We’ve seen rapid growth over the last few years and our success is based on our commitment to be original, dynamic and trustworthy with one eye always on advancements in our industry and yours. We know the right questions to ask and we listen very hard – simple stuff, but it’s what separates us from our competitors. Outsourcing your accounting isn’t just a short term cost-cutting exercise. Although reduced costs are the strongest advantage, outsourcing to our finance team can also drive long-term efficiencies, deliver sustainable benefits and help streamline your financial processes. We’re refreshingly creative in our approach to business. Resting on our laurels and doing things by half measures is just not us. We’re currently in the process of refurbishing our working environment to help us to continue to develop a culture that thrives on doing things better.